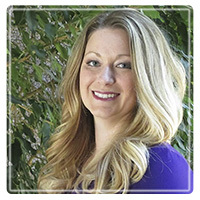 Loveland Therapist: Tiffani Garner - Therapist 80538. Send A Message To Tiffani. In this fast-paced world, it helps to have someone on your side, helping you along on your journey. Tiffani provides a nurturing, supportive setting where you will be comfortable exploring difficulties in your relationship, your job, your family, or your personal life. Tiffani brings years of professional, educational, and life experience to her work as a marriage, family, and mental health counselor. Tiffani earned her Master of Arts in Clinical Mental Health Counseling from Regis University and earned her Bachelor of Science in Psychology with a minor in Criminology also from Regis University. Tiffani was an Emergency Medical Technician (EMT) for 10 years prior to her counseling career. Her first responder experience is what drove Tiffani to pursue her Master’s Degree in Counseling. She has a special interest in counseling first responders due to her exposure to the field. She has spent many years working with children and adolescents, couples, individuals, and families and the delicate dynamics that come with each situation. Tiffani’s top priority is the importance of the therapeutic relationship. Using an integrative approach, she draws from client-centered therapy, Dialectical Behavior Therapy (DBT), Cognitive-Behavioral Therapy (CBT), Trauma Focused Therapy, family systems theories, John Gottman’s research, Beyond Consequences theory, and solution focused techniques. The use of interpersonal processing and linking techniques forms the foundation of her overall approach and this guides her work helping you through the process of recovery. She offers an open platform for her clients to feel comfortable bringing anything into their sessions. She wants her clients to build a strong platform on which they can create change in their lives. Tiffani provides compassionate, supportive guidance to those seeking change in their life. Some events in our lives can become chronic problems that, if left untreated, lead to catastrophic consequences. Her goal as a counselor is to help you through these difficult situations, restoring your hope for a healthier, happier, brighter future, whatever this looks like for you. Whether you or someone you know is struggling in their relationship, experiencing depression, looking for a life coach, or is simply not sure where else to turn, Tiffani is here to provide a warm welcoming environment to help guide you through life's obstacles. She offers various appointment times, including evening and weekend hours to work with your hectic schedule. Tiffani also offers Skype and phone therapy sessions if needed. Contact Tiffani today to schedule your free initial consultation!